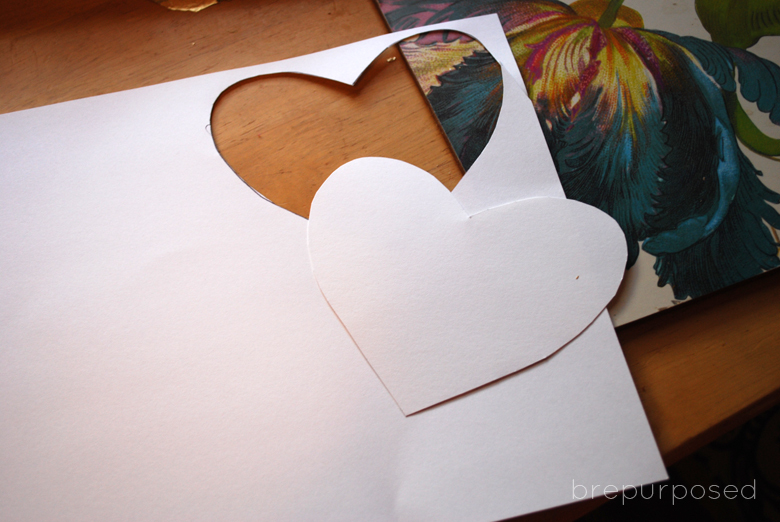 STEP 2: Place the cut out heart over another piece of card stock and apply your Mod Podge. 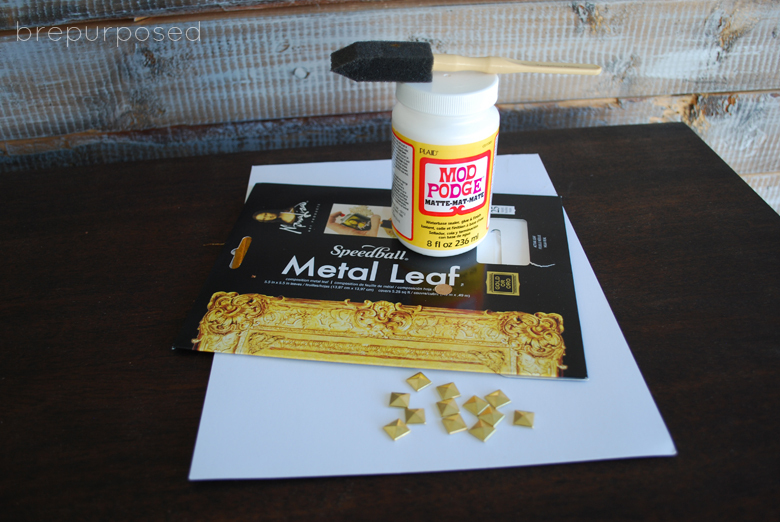 STEP 4: Gently brush away the excess gold leaf with your foam brush. (A trick I used was to then go around the edges with an X-Acto knife to even everything out). I’m not gonna lie, it took me quite a few times to get a good looking heart. 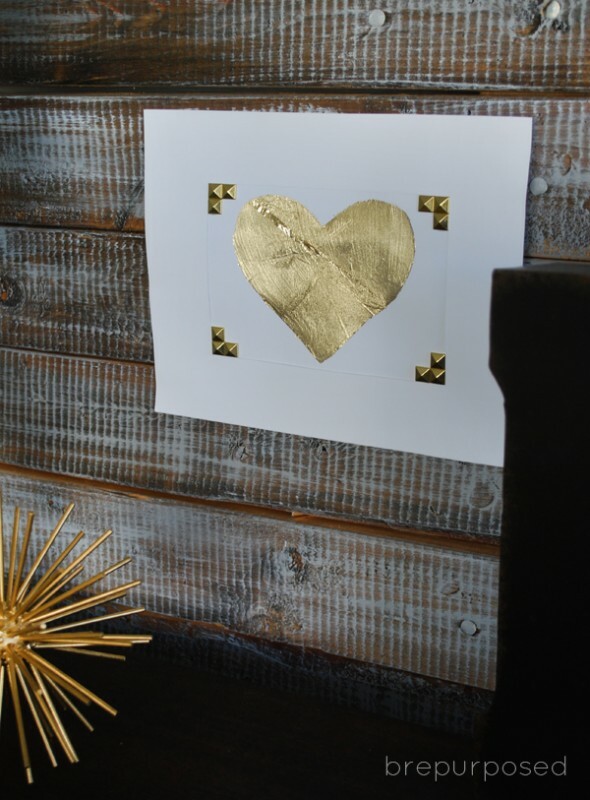 Between having sticky fingers from the mod podge and the gold leaf breaking apart, things kept going wrong! Just be careful with your gold leaf because it’s SUPER delicate. 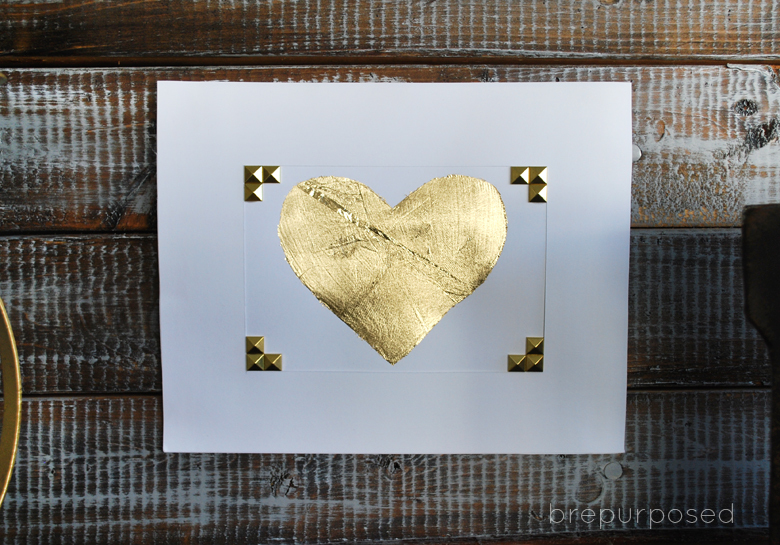 STEP 5: Grab another sheet of card stock and cut out a matte to frame your heart. STEP 6: Glue your pyramid studs on to create the look of corner braces! And that’s it! 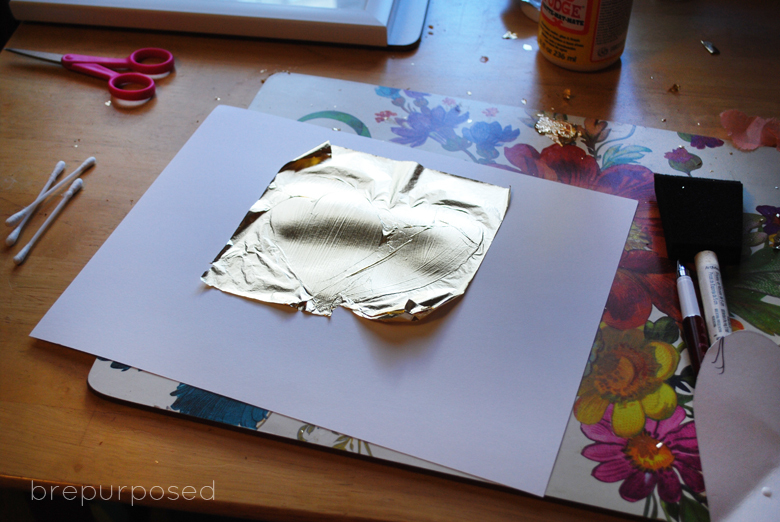 Like I said, it can definitely be tricky working with the gold leaf because it breaks apart super easily. Just be prepared to have a gold covered surface after you’re done! You can frame it or leave it as is! 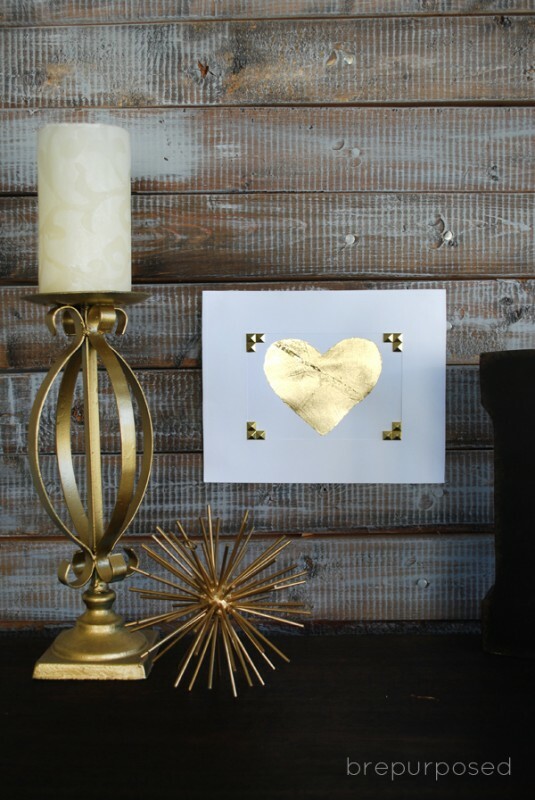 Gold foil prints are super popular right now and I was so excited to finally get my hands on some gold leaf. The possibilities are endless with this stuff and I can’t wait to use it on some more projects! 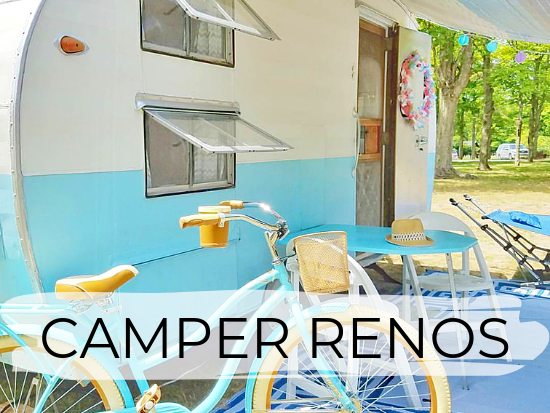 Be sure to check out some of my most recent projects like my DIY Faux Fur Covered Pumpkins and my Mid Century Modern Dresser Makeover! 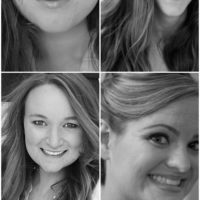 Love this, Bre! 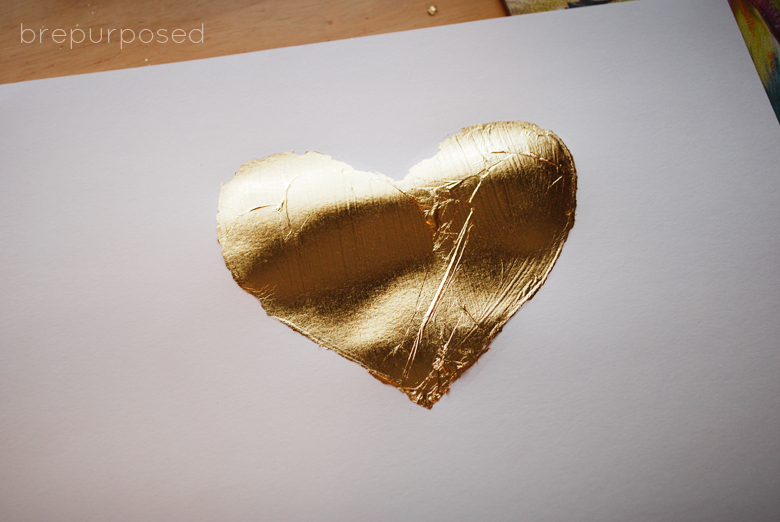 I really want to try a project using this gold leaf stuff, not sure I would have enough patience though haha! 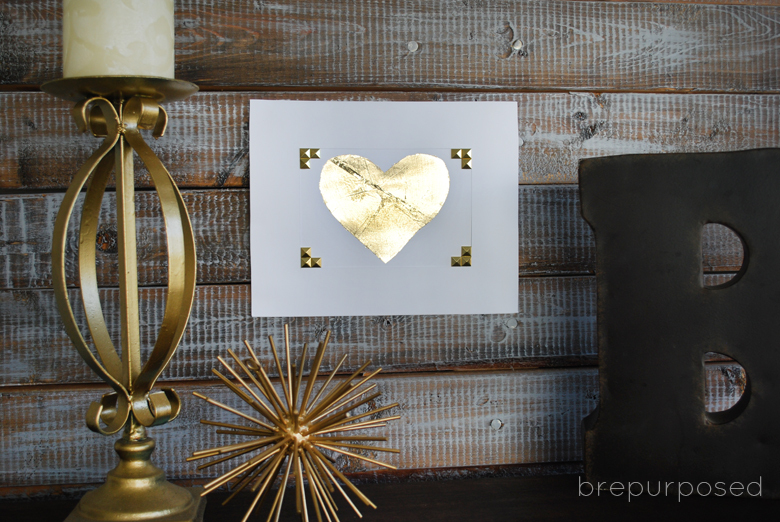 I love the gold studs in the corners as well, so pretty!